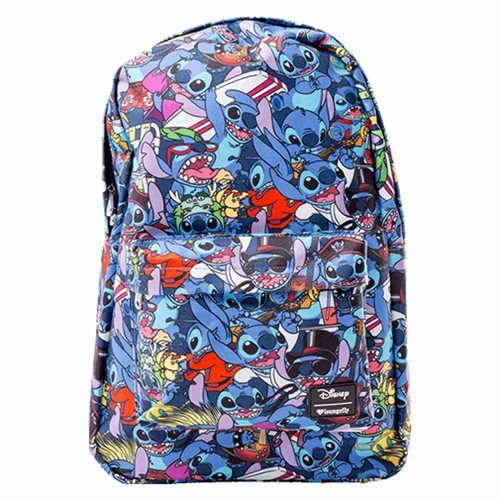 Shopping for Lilo & Stitch Backpacks? Show off your Disney pride with this Lilo & Stitch Costume Print Nylon Backpack! Made of printed nylon, it features an interior laptop pocket, an outside pocket, a handle, and straps. The bag measures approximately 17 1/2-inches tall x 11 1/2-inches wide x 5-inches deep.